Daryl Wilson has been a pioneer in the LGBTQ community for more than 20 years. He is a native of Washington, D.C. and has maintained a deep connection with the city and community members. Recognizing that the city had few locations for African-American LGBTQ men to come together and party, Daryl came up with a solution. He began having house parties in his one bedroom apartment, giving the community a weekly place to party. The response was so great that he eventually moved into a two-bedroom apartment then on to a two bedroom with a den. These apartment parties were equipped with a DJ and bartender and helped Daryl establish himself as a promoter and helped him grow a following. Once the parties outgrew his apartments, Daryl began having his events at the infamous Delta. The Delta quickly became a staple in the LGBTQ community and was a premier party venue for many years. After the Delta, Daryl moved his party to the unforgettable Edge/Wet Nightclub for several years. It was at the Edge Nightclub that Daryl began bringing musical artists and celebrities to his parties to perform and to be guests. 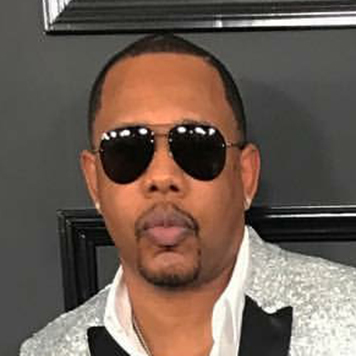 Throughout the years, Daryl brought acts such as Patti Labelle, Doug E. Fresh, Tyson Beckford, Stephanie Mills, Ameriie, Mya, Big Freedia, Vivica Fox, and many more to his events. In recent years, he has hosted parties at some of DC’s largest venues including the Nationals Stadium, Washington Convention Center, EchoStage, Park at 14th, and the DC Eagle. He also put together the first annual gay pride festival which is held every year at Fort Dupont Park. His dedication and love for DC’s LGBTQ community has allowed Daryl to create safe and fun atmospheres for community members and give them the best in LGBTQ parties and events. Daryl Wilson continues to show his support for the LGBTQ community weekly and annually every memorial day weekend for DC Black Pride. More information about DC Black Pride Awards.